It’s a New Year and a time for making resolutions and plans for 2018. My first big plan is pretty ambitious…the launch of a brand new series this spring called The Heiress Games. The idea started as one book a few years ago (for a different series), but quickly morphed into three books. Here’s what The Heiress Games is about…. A pig named Matilda. A $100 million dollar fortune. 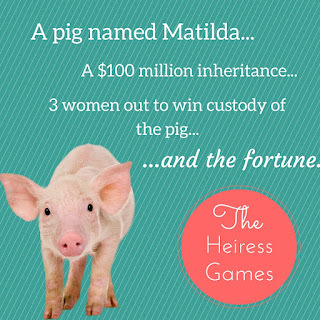 3 women out to win custody of the pig…and the fortune. Heiress Victoria Armington loved two things in life. Her pet pig Matilda and her hometown of Palm Cove, Florida. So when she dies (having never married or had children) she leaves her considerable fortune to Matilda and sets up a competition among the last three remaining Armington descendants. The prize? Custody of the pampered pig and control of the money. Enter the women competing for a fortune: a struggling single mother and lifetime outcast of Palm Cove, a woman desperate to save her sister, and a down on her luck singer with a mountain of medical bills. Plus, meet the three best friends who are supposed to be overseeing the Heiress Games: the lawyer who needs this case in order to make partner, the ex-football player who’s trying to re-reconnect with his troubled son, and the Grammy-winning singer who’s lost the music after a tragic accident. In the end, these three couples will end up competing for a far bigger of prize…a love that lasts forever. What makes this series so unique – and also challenging to write – is that all three books take place concurrently and each tells the story from different couples’ perspectives. There are many scenes that appear in all three books, but you’ll see them from someone else’s POV. This is a crazy, funny, touching series of a group of loosely strangers who somehow become a family. 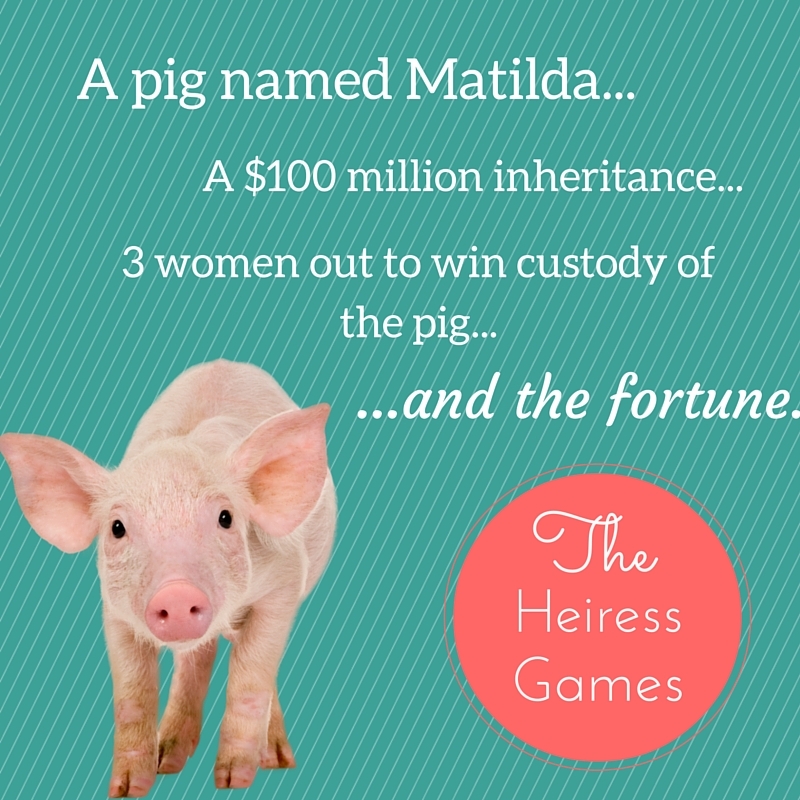 Oh…and then there is the pig at the center of The Heiress Games. Matilda is a character in her own right. She lives in pink castle, wears diamond collars, tutus and sequined scarves, and makes everyone fall in love with her. Matilda is so cool, in fact, that she now has her own Facebook and Twitter accounts. I invite you to follow Matilda and see what she’s up to. And look for The Heiress Games to launch this spring! Kristin Wallace is the USA Today Best Selling Author of inspirational and contemporary romance, and women’s fiction filled with “Love, Laughter and a Leap of Faith”. She is the author of two best selling series, Shellwater Key Tales (sweet contemporary romance) and Covington Falls Chronicles (inspirational romance). 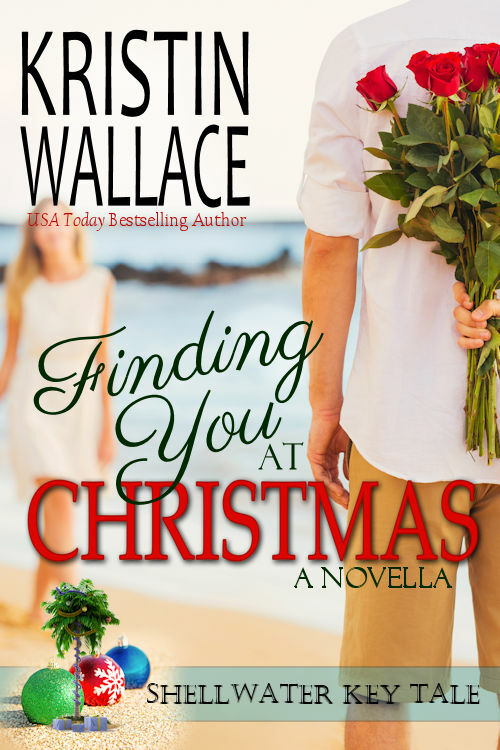 Sign up for Kristin’s newsletter HERE and get a FREE book, Finding You At Christmas. Sounds like such a fun series, Kristin, and a fresh approach to writing. I love Matilda! What a cool story idea. I look forward to reading it. What a cute and fun story!! !